MANTI—Sanpete County will save more than $850,000 in interest and fees over the next 17 years because of action the county commissioners took late last year to refinance and change the financial arrangements on bonds for the Sanpete County Sheriff’s Complex. “Given that we had a fairly significant tax increase, we wanted to do everything we could to reduce the amount of debt the county was carrying,” Commissioner Claudia Jarrett explained. In 2007 and 2008, the county took on three obligations: a $6 million general obligation bond (which had been approved by voters), a $3 million loan from USDA Rural Development and an $8.35 million loan from the Utah Community Impact Board (CIB). The grand total was $17.35 million. The general obligation or GO bond was scheduled to run for 25 years, while both the Rural Development and CIB loans were supposed to run for 30 years. All three of the obligations were converted to bonds. The GO bond and the Rural Development bond were sold to private investors. A bond for the CIB loan remained with the CIB. When a government jurisdiction or even a private business issues bonds, the issuer guarantees the borrower the right to hold the bonds for a stated number of years. Once that time elapses, the issuer can “call” the bonds in and pay the buyer the remaining principal due. The original interest rate on the GO bond was 4 percent. Under the reauthorized bond, the interest rate starts at 1 percent and escalates a little with each payment but doesn’t get up to 4 percent until the last three years of payoff. The overall interest rate (what the bank calls the “true interest cost,” is 3.36 percent. The original interest rate on the Rural Development bond was 4.13 percent. Under the refinance, that rate dropped to 3.06 percent. Because of the lower interest, an amortization chart shows the bond being paid off in 2035, three years sooner than the original payoff date in 2038. By “calling” and reissuing all of the obligations, including the CIB bond, the county will benefit from reduced administrative fees. Government entities and other bond issuers generally need to hire a “trustee” to market the bonds, collect payment from the bond issuers, and send payment checks to the bond purchasers. When the county started out, it hired Wells Fargo Bank as the trustee. But Wells Fargo was charging what the county felt were quite high trustee fees. According to Ilene Roth, county auditor, the fees were around $5,000 per year. The fees were above and beyond principal and interest payments on the bonds. One factor that helped out with the trustee fees was that Zions decided to buy and hold the Rural Development bond itself. So there is no longer a trustee fee on that bond. The Sheriff’s Complex on U.S. 89 just south of Manti includes the county jail; the Sheriff’s Office; and offices for the Utah Highway Patrol and the Utah Division of Adult Probation and Parole. Payments on the bonds used to build the complex do not come entirely from county taxpayers. The county houses some federal and state inmates and gets per-diem payments from the Utah Department of Corrections and the U.S. Marshal for those inmates. It also gets rent payments for the office space it leases to the state. GUNNISON—Gunnison City’s new mayor, Lori Nay, made her mayoral appointments earlier this month, yet not without concern voiced from some council members during the legal counsel appointments. During the regularly scheduled city council meeting on Jan. 17, the city council voted 3-2 in favor of her decisions, which were mostly reappointments, yet one of Nay’s decisions caused some hesitation among the council. Most of her picks didn’t make any waves, but Nay’s decision on the roles for legal counsel was where business as usual went out the window. Although current Gunnison City attorney Mandy Larsen was retained in a prosecutor role, Nay made the call to appoint Peter Stirba as official city civil attorney on an on-call basis. Nay gave the council an example from 2002 when the prison’s sewer processing equipment was not working properly and clogging the city sewer lines. Nay said the prison refused to admit there was a problem, and she said Stirba’s involvement was why the city was able to negotiate a $7-million payout from the prison for a new sewer line. Donaldson said Larsen had been giving the city an excellent deal handling both the criminal and civil cases for a total of about $1,000 per month and had been doing a good job of it. Nay replied that the mayor gets to decide who will be appointed to these positions. New Gunnison Councilwoman Michelle Smith asked Nay why the city was making this change. “Hasn’t Mandy been doing it ok?” Smith asked. Nay said the city would not be paying Stirba a retainer. Instead the arrangement would be a fee of $150 per hour billed for city use. Councilman Robert Anderson said he had no qualms as long as there was no retainer and Stirba was only used on an as-needed basis. “He would be used for when we needed some extra clout or negotiation power, and then we would call on him,” Nay said. Donaldson asked if the city would still need to pay Larsen’s $200 per month retainer. He commented that she had helped the city during various civil legal matters, both little and big, to good effect. Smith brought up Stirba’s $150-per-hour charge, expressing some concern if the city could handle that cost. Nay assured her Stirba was not out to gouge the city. Councilman Andy Hill said he would prefer Larsen be used for legal counsel whenever a legal matter arises that is within her capability. Nay said if that arose, the council would have to make that distinction on case-by-case basis. The other appointments included Nay’s decision for appointment of the city’s land use officer: Bruce Parker, who has already been working with Gunnison City. For the city’s zoning administrator, Nay said her choice was Rod Taylor, who had also been occupying that role for the city currently. Nay asked that a motion be made to approve her appointments. Hill made the motion for the appointments. Donaldson seconded the motion based on the assurance that Larsen was still retained with her $200 monthly civil counsel retainer. During the vote, Councilman Blane Jensen voted no, as did Smith. Councilmembers Hill, Anderson and Donaldson all voted in support—although Donaldson noted it was with some reluctance. MANTI—The crimes? Robbery, thefts, arson and burglary. The sentence for now? Probation, jail time, a fine, drug rehab and a mental health evaluation. Telling the defendant, “If you commit one more crime in the next three years, you could do 15 years” in prison, Judge Marvin Bagley sentenced Luis David Cuevas, 18, to three years of probation and 210 days in jail for his part in the Maverik robbery and automobile-theft crime spree in Mt. Pleasant and Utah County on Oct. 9, 2017. 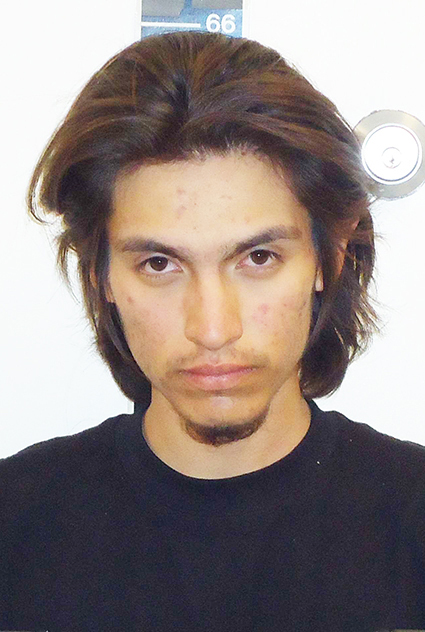 Cuevas appeared in Manti District Court on Wednesday, Jan. 24, for sentencing. On Nov. 1, 2017, he had pled guilty to one count of second-degree felony robbery, two counts of second-degree felony theft, one count of third-degree felony arson, and one count of a class A misdemeanor burglary. 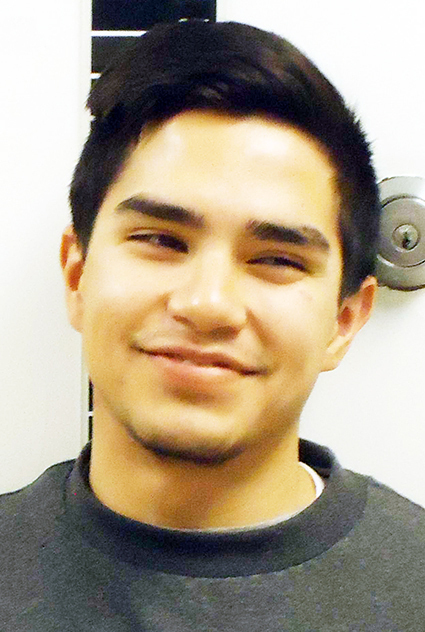 Cuevas was one of three co-defendants, one of whom was a juvenile and the other was Jesus Emmanuel Carrasco. Cuevas’ crime spree began in Ephraim the night of Oct. 9, 2017. Ephraim police received a number of reports of thefts from vehicles and the outright theft of a 2011 white Kia Optima. Cuevas and two others, who had stolen the vehicle, drove in the vehicle to Mt. Pleasant and robbed the Maverik convenience store at gunpoint. The three men then drove away from the Maverik, burned another vehicle nearby in Mt. Pleasant and drove the Optima to Springville in Utah County where they were apprehended. Cuevas’ attorney, David Angerhofer and the newly appointed Interim Sanpete County Attorney Kevin Daniels agreed that they would stand by the recommendation in the presentence investigation of 36 months of probation with 210 days in jail, giving Cuevas credit for 50 days in jail already served. Bagley had Cuevas admit that he was on drugs at the time of the offense and then told Cuevas, “If you want to have your freedom, you have to stay off drugs” while you are on probation. Bagley told Cuevas his sentence: 1-15 years in prison for the robbery count, 1-15 years in prison for the theft counts, 0-5 years for the arson count and one year in jail for the burglary count, all of which would be suspended while he was on probation. Bagley also sentenced Cuevas to the maximum fine possible on each count and suspended all but $950 total. The judge ordered Cuevas to take part in the Residential Substance Abuse Treatment (RSAT) drug rehabilitation program and to take a mental health evaluation. Cuevas’ co-defendant, Carrasco, also appeared in Manti District Court the same day for a waiver of preliminary hearing. However, his attorney, Kevin Vander Werff, informed the court that disclosure of all the State’s evidence had not been completed and asked for another date for the hearing. Bagley ordered the waiver of preliminary hearing rescheduled to March 3. Brent Dewsnup (L-R), regional business manager of Rocky Mountain Power, gives $2,500 to Lori Nay, managing director of the Casino Star Theatre Foundation, and Diana Major Spencer, programming director of the Casino Star Theatre Foundation, to go toward upgrading stage lights at the Gunnison venue. GUNNISON—The nonprofit Casino Star Theatre Foundation has accepted a $2,500 donation from the Rocky Mountain Power Foundation for stage lighting upgrades. 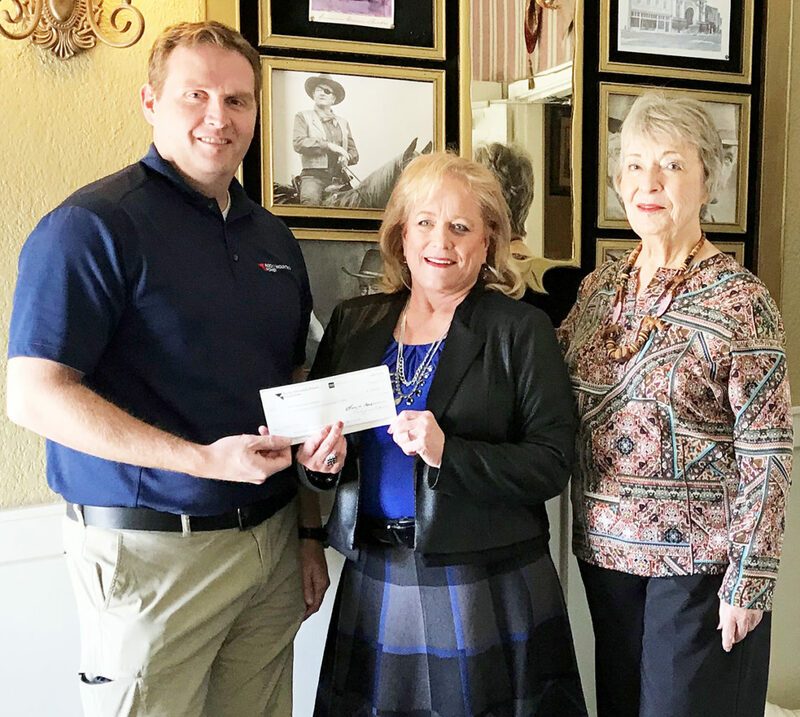 On Jan. 17, the regional business manager of Rocky Mountain Power, Brent Dewsnup, met with the directors of the Casino Star Theatre Foundation, Lori Nay and Diana Major Spencer, and gave them the donation, according to the press release from Casino Star. The donation will go toward a nearly finished lighting project at the 106-year-old theatre. The current lighting features four stationary lights donated by Gunnison Valley High School, and the new lighting consists of 30 LED lights. These new lights will enhance the performances of the annual concert series offered at the Casino Star Theatre, such as the performance on March 7 of the vocal ensembles of Snow College, Eastern Arizona College and Gunnison Valley High School and the performance of magician Jason Andrews on May 9. The directors of the Casino Star Theatre Foundation “have worked to accomplish a project each year in rebuilding and enhancing this iconic theatre since it was purchased and dedicated in 2004,” states the press release. Recent projects include a new marquee installed and concession renovation in 2016, a digital projector installed in 2015 and state-of-the-art 24-channel sound for movies and performances installed in 2014. The directors of Casino Star Theatre are grateful for the “generous support” of Rocky Mountain Power over the years and the community’s support, according to the press release. SALT LAKE CITY—When a person is serving as acting governor, who knows what to expect, especially if the acting governor is from Sanpete County?! It seems “acting” is the appropriate word in this case, for when Lt. Gov. Spencer J. Cox stepped into the governor’s seat for a short while on Friday, Jan. 26, Cox did anything but govern. Perhaps Cox, a Fairview native, took a cue from Jeep Posse Days or North Bend Entertainers. Yet he enjoyed his brief window of opportunity as acting governor by “acting” his part on social media. As part of his “acting up,” he tweeted a copy of an official declaration that appealed to Wyoming to give to Utah the missing northeast corner of the state so Utah can be one of the few rectangle-shaped states. On the governor’s letterhead, with the governor’s name of Gary Richard Herbert dutifully crossed out with black marker and the name of Spencer J. Cox written in above it, Cox cited the Utah Constitution as giving him the authority to assume the governor’s duties at 5:24 p.m. last Friday while the governor had surgery. In the same official-looking document, Cox asserted that in 1868 “Congress probably wrongfully appropriated the northeast corner” of what is now Utah. Note the deliberate use of “our” in “our Missing Corner,” showing positively and unmistakably that Utah has the right to this geographical corner simply because the acting governor says it’s Utah’s. And no mention was made in Cox’s declaration that if Wyoming surrendered the coveted corner that Wyoming would no longer be a rectangular state. Now that would be a sorry state (pun intended), looking like the former shape of Utah but reversed and flopped onto its western side. MT. PLEASANT—Councilman Justin Atkinson told the Mt. Pleasant City Council during its meeting last week about an opportunity to save the city tens of thousands of dollars in its search for a new culinary water source. Atkinson told the council at the meeting on Thursday, Jan. 25, he had been approached by a developer about a new potential culinary well site. The developer, which Atkinson did not want to identify at the time, was working on land in Mt. Pleasant’s buffer zone, and this developer told Atkinson he was preparing to drill a well on his property at a cost of $30,000. This developer offered to let the city have access to the water if a sufficient quantity was found, in return for providing half of the drilling costs. The area was a 40-acre plot on land located near where water consultant Bill Sorensen had recommended to the city last year of drilling a test well. Atkinson said he was intrigued by the offer. 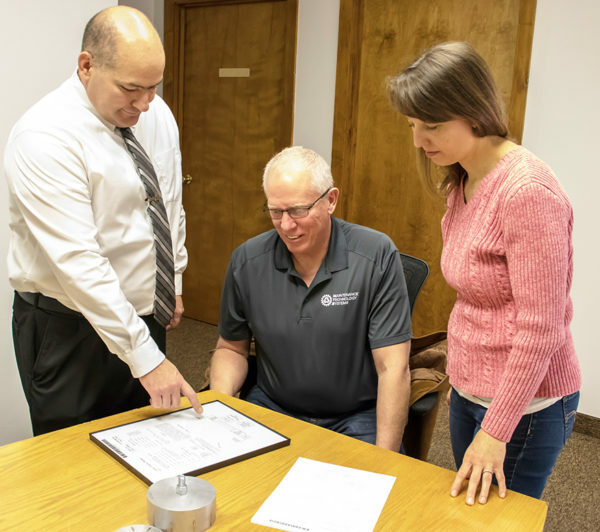 The city has been actively searching for new sources for culinary water for more than two years, and Atkinson himself has been in favor of drilling test wells to look for new sources. However, plans to drill test wells have been stymied by the high bids previously requested by the city, up to as much as $120,000. Councilman Kevin Stallings pointed out that if the city co-sponsored the well, the well diameter would be 8 inches in diameter, not the usual 6 inches for a residential development. Atkinson agreed that the well diameter would be bigger and would probably raise the price of the well to as much as $50,000. However, the cost would still be a great savings to the city, and the developer offered to lease the well property to the city for 99 years at $1 a year, as long as the city installed a water line to his development. Stallings stated he would like to have Sorensen scout the location and also have Atkinson find out more about the cost of the potential well. Atkinson agreed to contact the developer to get a firm estimate and report back to the council. With the help of a consultant, the IT staff was able to recover a good share of the lost data. But student assignments and grades recorded between Dec. 24 and Jan. 11 were gone. That affected four teachers at North Sanpete High School who had not completed entry of second-term grades to Power School before Christmas break. And it had a big impact at North Sanpete Middle School, which is on a different schedule than all other schools in the district. At the middle school, the term doesn’t end until mid January. So between Jan. 3, when students returned after the break and Jan. 11, when the outage occurred, students were turning in a lot of assignments, and teachers were catching up on grading and entering assignments in Power School. All of those entries were lost. Ray, who was interviewed on Wednesday, Jan. 24, a week and a half after the data loss happened, said he was in a meeting Jan. 11 with district staff and, ironically, with a consultant from Springville who was one of the authors of the Power School program now used by schools nationwide. The group was exploring a possible change in the district grading system, including how such a change could be incorporated into Power School. Most students and parents are familiar with the function in Power School that lets them log in and see what assignments are in and current grades in each class. But the “back end” of Power School does a lot more. It serves as the record of each student’s class schedule. And it tracks overall enrollment data that is submitted to the Utah State Office of Education as the basis for state funding. The weekend following the data loss was a three-day weekend because of Martin Luther King Jr.’s birthday. The Springville consultant, Richard James, and the IT staff worked through the weekend. Ray said they were able to recover all student schedules, including North Sanpete High School schedules for the new term. And it turned out “it wasn’t too hard to reconstruct” enrollment data. IT and other staff were also able to recover nearly all school financial records, such school lunch payments, Ray said. The schools had hard-copy records covering the data that was lost. The main problem was at the middle school, where teachers had to do a substantial amount of reentry into Power School. “We’re doing what we can to help them get caught up,” Ray said. The district postponed the deadline for submitting second term grades to the end of February. And the district offered each teacher a substitute for one day so the teacher could spend the day reconstructing assignment and grade records. By Thursday, Feb. 25, reentry of data was complete. Parents and students were again able to log in to Power School. The district invited them to check records for accuracy. The computer problem occurred while the IT staff was converting a bank of servers, each of which held certain programs, to a “server farm,” where all data is stored simultaneously on several servers using redundancy to prevent the very kind of data loss that occurred. The whole purpose of the conversion was to prevent data loss “and it was the conversion that caused the glitch,” Ray said. The Power School crash notwithstanding, Ray said the district had made a lot of progress in the IT area since he became superintendent in July 2014. When he came on board, the district had only one IT employee. Now it has five, which is still half the level recommended for the number of devices being supported. “Overall, we have made huge progress not only in technical support but in the number of devices” available to faculty, staff and students, including individual iPads for most middle and high school students, he said. 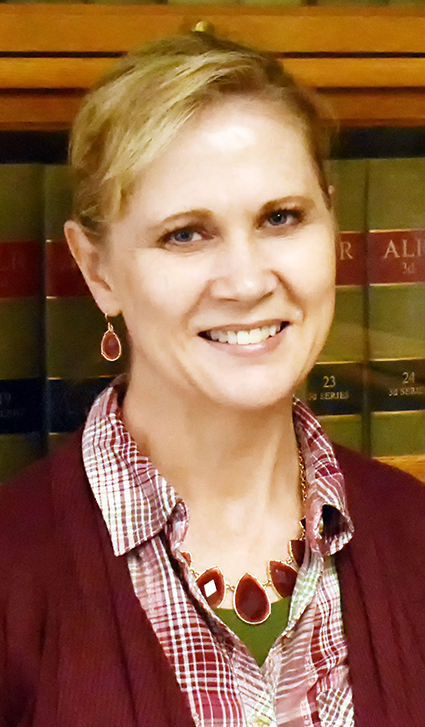 Selma Jorgensen of Manti is the new legal secretary for the Sanpete County Attorney’s Office. 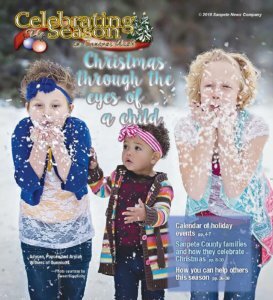 She started on Nov. 27, after serving 13 years in the Sanpete County Clerk’s Office and the District and Juvenile Courts. MANTI—The Sanpete County Attorney’s Office has a new legal secretary. Selma Jorgensen of Manti now fills the position left by Deborah Plummer, who retired from the position on Dec.31. Jorgensen started full-time with the office on Nov. 27. Interim County Attorney Kevin Daniels said that Jorgensen was “the best fit for our office” of all the candidates that the interview committee considered. Jorgensen had previously worked at the Sanpete County Clerk’s office for three years. Neil said that Jorgensen would often volunteer to assist the County Attorney’s Office when they needed extra help. Before that, she worked in the District Court for three years and the Juvenile Court for seven years. When she worked in the District Court, she handled all the criminal cases. That experience left her well-equipped to take on the work in the Sanpete County Attorney’s office. Jorgensen has lived in Manti for 27 years with her husband, Todd, and her two children. She is a native of Orangeville, in Emery County. The Utah Constitution, Section 2 says, “All political power is inherent in the people; and all free governments are founded on their authority for their equal protection and benefit; and the people have the right to alter or reform their government as the public welfare may require. There is in a Utah legislative committee a bill calling for a constitutional convention supposedly to limit federal government expenditures and require a balanced budget. If this idea passes three-fourths of the states, such a convention could rewrite the constitution as the original founders did the Articles of Confederation. By the means of this power, we as a nation are in danger of losing rights enumerated in the Constitution with the hope of limiting the federal government. Why should the federal government honor a new restraining law where it now ignores the restraints of the present Constitution. Fundamental rights have been eroded by the negligence and ignorance of the people, enabling government bureaucracies to gain power. This is a natural occurrence due to the nature of government. The bureaucrats are hired full time to regulate and enforce. The politicians who are supposedly there to protect our freedoms are more interested in getting elected by catering to special interests. They are interested in preserving their power over the people, but the people do have the power to vote them out of office. The judicial branch is in the same mode. They have circumvented people’s rights and created many laws controlling every aspect of public and personal life. This statement strips the jury, the “people’s representatives,” of the power to negate laws of the Legislature by their own conscience or in consideration of the circumstances. The people err from ignorance. Schools need to teach principles of freedom and responsibility. I am encouraged by the self education found in Internet use, rather than the traditional thought which is contrary to freedom and people’s self interest, namely larger government. 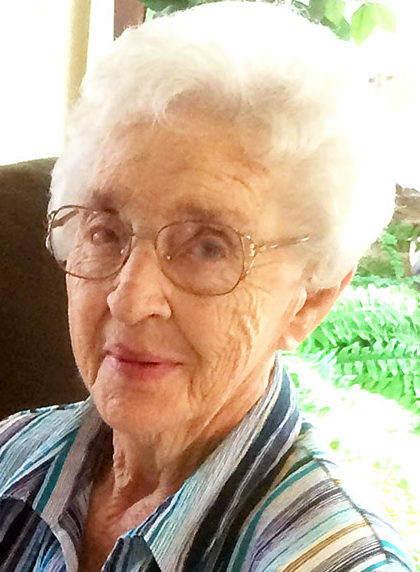 Nancy Carroll Wernz, 80, of Ephraim, passed away Jan. 26, 2018 in Provo. She was born Dec. 9, 1937 in Salt Lake City, to Arnold Jesse and Edna Madeline Palmer Wilkins. Nancy graduated from Provo High School. After graduation she worked for Barbazon in Provo as a tailoring instructor. She then moved to Manti, where she worked for Pacific Trails Sportswear, Carlisle Manufacturing, Sorensen Manufacturing and then Rivers West. She married Therald Albert Wernz on Aug. 9, 1957 in the Salt Lake City LDS Temple. They have a son, Joseph Albert Wernz of Provo. Nancy enjoyed bowling and loved traveling and participating in classic car shows throughout the Western States. She is survived by her husband Therald Wernz of Ephraim; son, Joseph Albert Wernz, Provo; her mother, Edna Madeline McGee of Mesa, Arizona; siblings, Betty Tarran of Provo; Coralie Wright of Mesa, Arizona. Preceded in death by her father, and her brother Arnold I. Wilkins. Funeral service Friday, Feb. 2, 2018 at 11 a.m. in the Ephraim 8th Ward Chapel (400 E. Center). Friends may visit Friday from 10-10:30 at the church. Interment in the Ephraim Park Cemetery. Marie Shaffer Olsen, 92, of Manti, Utah passed away at the home of her granddaughter on Jan. 25, 2018. Marie was born to Marion Kenyon and Susan Stringham Shaffer on March 13, 1925 in Vernal, Utah. She was the second of two children. She grew up in Maser and Vernal, Utah. The family moved to Manti, where her father was a door to door salesman. Her father passed away when she was 13. His passing was a real hardship on her mother, raising two girls alone. In this Marie learned the value of hard work and perseverance. She married her high school sweetheart, Richard Dee Olsen, on Jan. 9, 1945 in the Salt Lake City Temple. They celebrated 70 years of marriage in January of 2015. Richard preceded her in death on April 7, 2015. Marie and Richard lived on the family farm west of Sterling where she helped with the chores and worked in Elliott’s Pharmacy for several years. They moved to Salt Lake City in 1955, but returned to Manti to work on the farm. 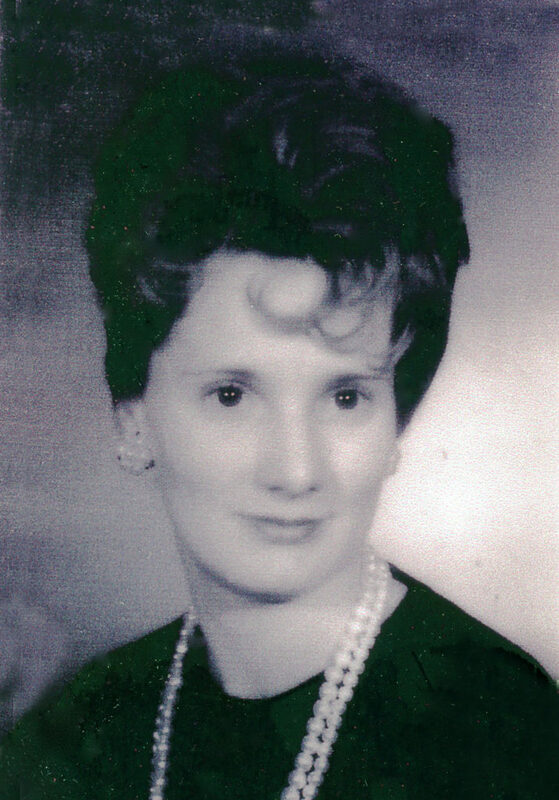 Mom was an active member of The Church of Jesus Christ of Latter-day Saints, and had a strong testimony of our Savior. She served in many callings in the church. She was involved with the Mormon Miracle Pageant, from cooking, sewing and whatever else she was asked to do. Her family was the light of her life, from doing family history and learning about sharing their stories, to the many camping trips to state and national parks to Lake Powell, to the cabin in the mountain that was the dream of dad and her to enjoy being in the peace that brings. She loves all her grandchildren, great-grandchildren, and great-great-grandchildren. She is survived by her sons, Kenneth (Claudia), Olsen and David (Marie C), Olsen. Marie was preceded in death by her husband; parents; sister, Beth (Bill), Brown; sister-in-law, Adele (Royal), Lambert; brother-in-law, Donald (Sherline), Olsen; grandchildren, Amberly Olsen, Erik Olsen and great-grandchildren, Taylor Olsen, Feleti Lincoln Taukei’aho, Mark Christensen and Jeremy Palmer. Funeral services will be held on Friday, Feb. 2, 2018 at 11 a.m in the Manti Stake Center. Friends may call on Thursday, Feb. 1, 2018 from 6-8 p.m. and prior to services on Friday from 9:30-10:30 a.m. Interment will be in the Manti City Cemetery. Funeral Directors: Magleby Mortuary, Richfield, Salina and Manti. Online guestbook at www.maglebymortuary.com. 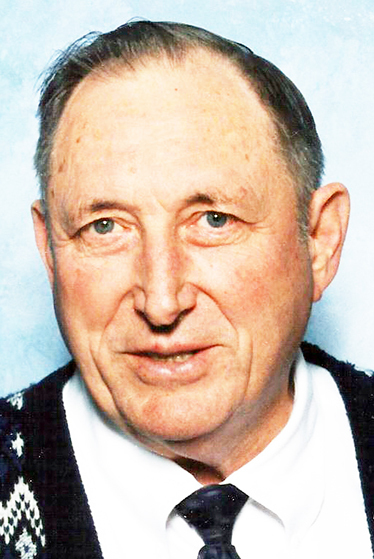 Alvin Beal, 86, of Manti, passed away Jan. 24, 2018. He was born on Sept. 4, 1931 in Manti, Utah to Elbert Allen Beal and Alice Flora Peterson. Alvin married LoDel Squire on April 22, 1952 in the Manti Temple. He is survived by his wife, his sister Lenore Shelley (Blaine), Mt. Pleasant; his brothers Ira Conrad (Beth), Bountiful; Nathan Peter (Donna)c Manti; and Delbert Wayne (Linda), Wellington, his six children: Loene Ellen Kiesel (Arthur), Manti, Jene Allen (Debbie), Bakersfield, California; Leon Ivan (Cathy), Manti; Vernon Peter (Valerie), Manti; Diana Irene Kondor (Dan), Lovelock, Nevada; and Alisa Bea Cox (Alan), Manti, 40 living grandchildren and 71 living great- grandchildren. Preceding him in death are his parents, a sister Eunice Stanley, a granddaughter Jozelle Kondor and a great-granddaughter Raquel Lynn Nickle. Alvin shared ownership of The Universal Impression, AL Service and The Horseshoe Trader for 26 years. He worked for L&M Trailer as a carpenter and electrician. 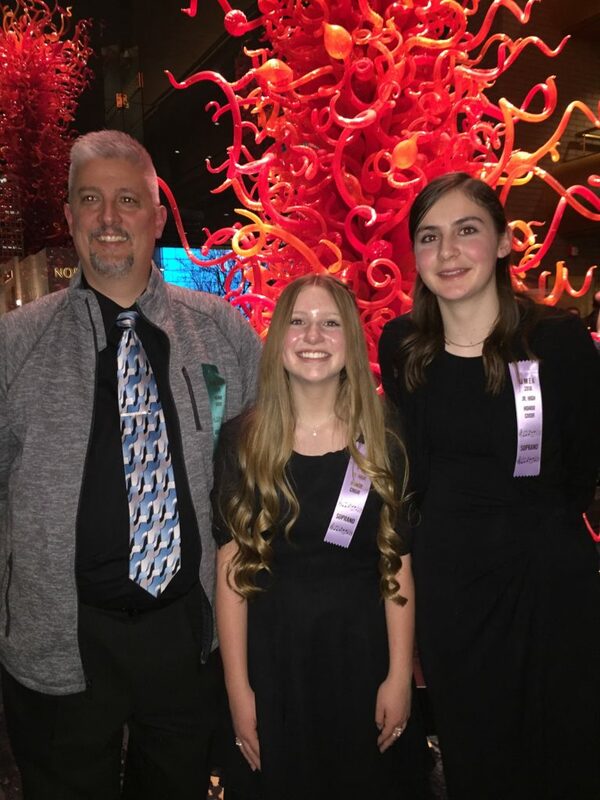 He was maintenance supervisor for the South Sanpete School District, owned an auto garage, was a school teacher, and has worked for many other employers, including the Forest Service. He was a graduate of Manti High School, Snow College and Utah State University with a bachelor’s degree in industrial arts. Alvin served as a mechanic in the United States Air Force at various bases in Arizona, New Mexico and Korea until he was wounded. Alvin held several church positions, including, but not limited to Cubmaster, Venturing Crew Chief, Explorer Leader, and speech director. He served a mission with LoDel in the Knoxville, Tennessee Mission, and they worked in the Manti Temple as temple workers for 16 years. He was a member of the Jaycees and The American Legion. Alvin chaperoned church youth groups to Mexico and Canada on several occasions. He was a member of the local volunteer fire department for several years and served as assistant fire chief for one year. He assisted with The Mormon Miracle Pageant for 18 years, serving as co-director of lighting for eight years. Funeral services will be held Tuesday, Jan. 30, 2018 in the Manti 8th Ward (295 South Main) at 11 a.m. A viewing will be from 9-10:30 a.m. before the services. Interment in the Manti City Cemetery. Online condolences rasmussenmortuary.com. 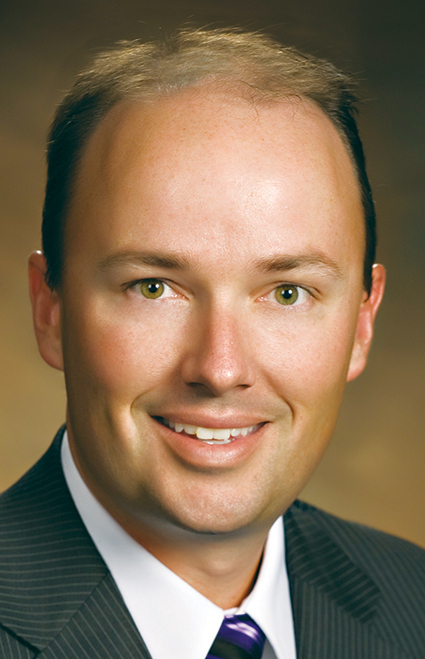 FAIRVIEW—Utah Lt. Gov. Spencer Cox has been appointed by Gov. Gary Herbert to lead a community task force to address youth suicide in Utah. “We’re very similar to other Intermountain states that have seen a surge, in fact, in teenage suicide. We find teenage suicide is the leading cause of death among our young people,” Herbert said at a Jan. 17 press conference announcing the formation of the task force. The 14-member task force, which will also be led by Rep. Steve Eliason of Sandy, is charged by the governor to consolidate the input of several groups that are working on suicide prevention among teens. They are to come up with the best ideas and make recommendations to the governor and legislature, and then legislation can be passed and funding resources can be allocated as needed. At the press conference, Cox spoke about the need for teens contemplating suicide to have someone to turn to. “If they know that they’re not alone, if they can find someone who believes in them, someone who can give them hope, if we together as a coalition, if we as a state, if we as communities, if we as family members, if we as human beings, can find ways to reach out to every individual, we can stop this, we can prevent this, and we can do it together,” he said. Cox said his family, like most families, has been impacted by suicide. While Sanpete County-specific figures are not available, statistics show that in the Central Utah Health District (which covers Juab, Millard, Sanpete, Sevier, Piute and Wayne counties) between 2011 and 2015 there were five suicides among children ages 10 to 17, a low number. However, during the same time period, 122 kids visited a hospital or emergency room because of self-inflicted injuries (considered suicide attempts). Eleven of those had to be hospitalized. “One is too many,” Cox said of both suicides and suicide attempts among young people. Cox said one of the charges of the task force is to give tools to children, families, health professionals and teachers in the school districts to address this problem. “Many of them will confide in a peer when they won’t turn to an adult,” he said. Cox said one of the task force’s agenda items is to review the HOPE Squad program and to see how to get the program into more schools, even in elementary school upper grades. Cox also said he wants to make sure rural areas get funding and the same tools that are available along the Wasatch Front to combat teen suicide. 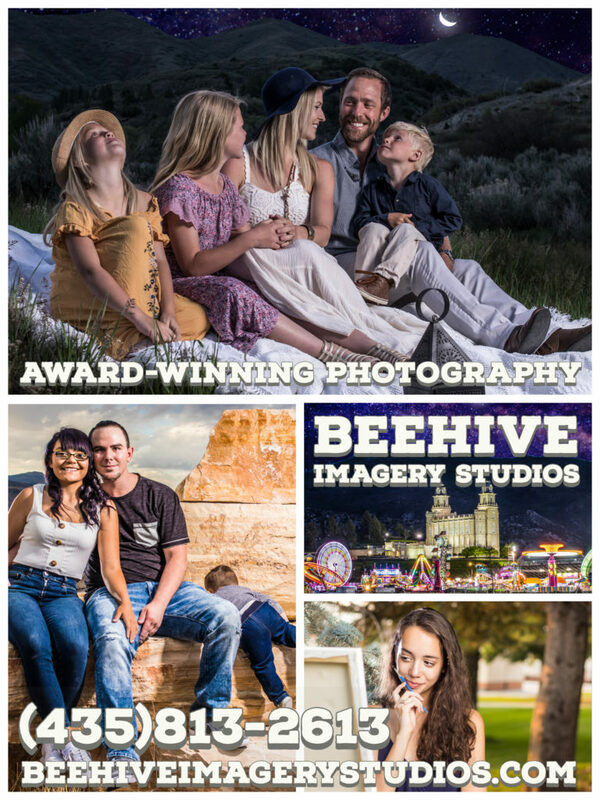 To get involved in suicide prevention efforts or to find suicide prevention training, visit https://utahsuicideprevention.org.